The capacitive touch keypad on all Eclipse balances delivers a smooth user experience for lab professionals. Combining innovation and brilliant precision, the Eclipse is Adam Equipment’s newest range of lab balances. Featuring an advanced capacitive touch keypad and one of the largest LCD readouts in the industry, the Eclipse brings a balance of distinction and performance to any lab. Eclipse balances are now shipping in Canada, the U.S. and Latin America. The capacitive touch keypad contains illuminated color-coded keys, which provide uncomplicated navigation of the functions and features. Operating with a feather-light touch, the keys respond readily, even to latex-gloved fingers. The keypad's smooth surface allows fingerprints and chemicals to be wiped off easily. Featuring one of the largest LCD readouts in the industry, the Eclipse displays sizeable white digits on a deep-blue background, ensuring ultimate visibility. A second line shows text prompts, instructions and any other relevant information. Clear, discernible symbols and multi-lingual text enable easy operation, while prompts simplify even the most complex activities. Connectivity, whether it’s basic data printing or advanced communication with a LIMS, is achieved with the USB and RS-232 interfaces. Printouts with time, date, and other information are provided to comply with GLP requirements. Eclipse models come in three different body styles. Precision and analytical models boast a compact footprint, allowing the balance to occupy minimal space on the laboratory bench while offering a vast array of features. Ideal for applications such as materials testing, the large-pan Eclipse models offer external calibration, plus all of the same functionality as the smaller-pan models. Analytical models offer readabilities of 0.1 mg with capacities of 100g to 310g, with both internal and external calibration options. Precision models are 1mg, 0.01g and 0.1g with capacities from 220g to 8200g, with the option of internal or external calibration. The large-pan model of the Eclipse delivers readabilities of 0.1g with capacities of 12000g to 32000g. 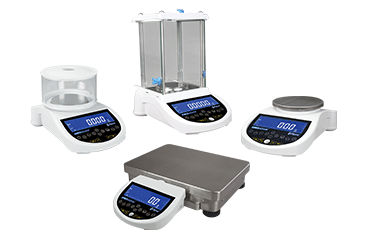 The Eclipse offers a wide range of weighing units to facilitate numerous lab applications. Applications included on all Eclipse models are: weighing, dynamic weighing, percentage weighing, checkweighing density determination, parts counting, and check counting. Eclipse analytical and precision balances are also available in the United Kingdom and Europe. To learn more about Eclipse precision balances, visit http://bit.ly/EclipsePrecision. To learn more about Eclipse analytical balances, visit http://bit.ly/EclipseAnalytical. For more than 40 years, Adam Equipment has designed and manufactured precision balances and scales for professionals worldwide in the laboratory, medical, education, industrial, food, animal/veterinary and jewellery markets. Adam is committed to offering an extensive selection of weighing equipment with best-in-class value. Headquartered in the United Kingdom, the company has strategically established offices in the United States, South Africa, Australia, China and Germany to provide product support and speedy delivery to distributors. For more information about the company and its products, go to http://www.adamequipment.com.